For the allround player who likes to play subtile and aswell with smashing power. Speed ​​and control are the most important factors. 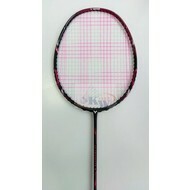 On the net, in fast rally and in a smash defense, this racket is the best.